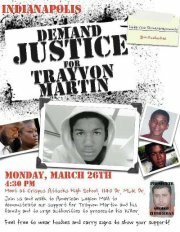 Meet at Crispus Attucks High School located at 1140 Dr. Martin Luther King Jr Street (46202) at 4:30pm. 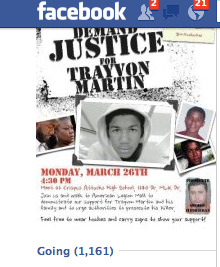 About 4:45pm we will walk about 1 mile to American Legion Mall (ALM). Over 1000 people have rsvp'ed for this event. Some people will be wearing hoodies, others may not, this is a stand that people are taking all over the nation, will you march?